This article was originally posted on Diamonds Unleashed. 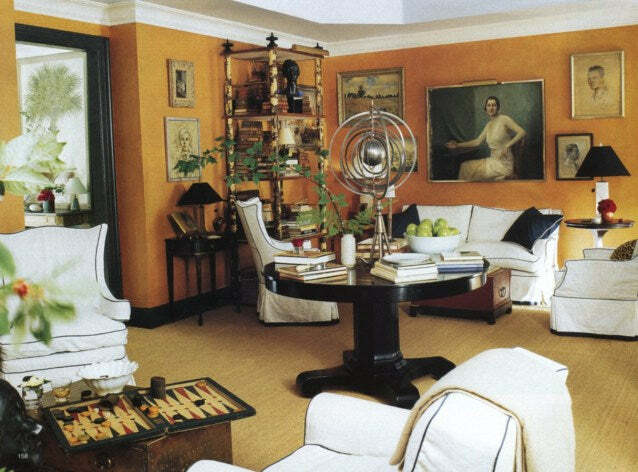 I am a designer known for my absolute unadulterated, unabashed sheer and utter love of color and paint. Peppered throughout my well followed Instagram feed you’ll find my coined phrases #paintitpretty and #colormehappy in the editorial of my photo feed and now reused all over in the unofficially accepted hash tag lexicon and vernacular. Color and joy go hand in hand like peanut butter and jelly. Painting just about anything makes it better! Never underestimate the power of paint. Paint is something that can make a HUGE impact, completely transforming an entire room for relatively little money and it is easily changeable if you don’t like it! Instead of looking at a room as having only four sides, start thinking about a space as having six! Don’t forget that floors and ceilings are the above and the below walls and they deserve a little love too. If a floor isn’t pretty, just paint it! A solid color can lighten up the space & pull the room together, almost like pulling up the bedcovers on a bed creates an envelope or cocoon effect. 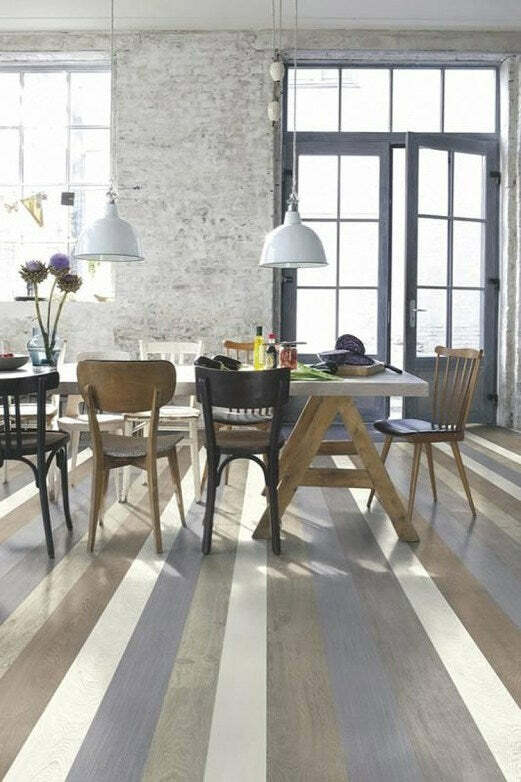 A pattern painted on a floor can bring an added layer of design as well as create a cohesive three-dimensional texture transforming a room from whatever to wow. 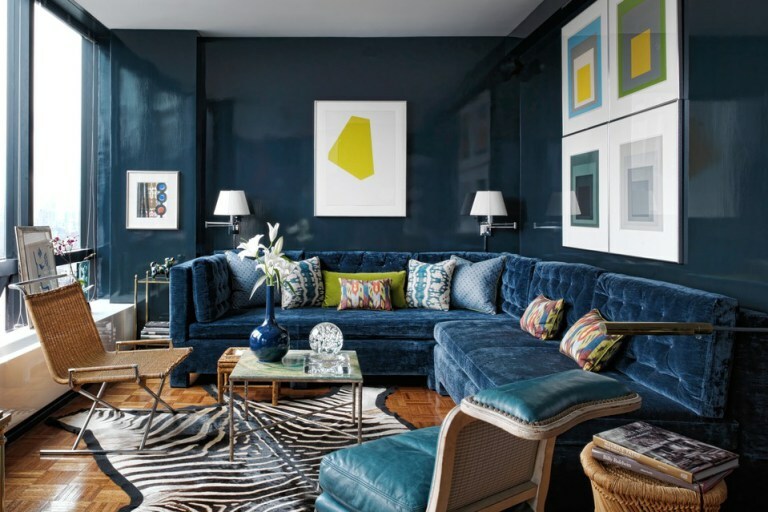 Paint a room a dark color and your art will bounce right off the walls. If you don’t have “great” art, what you have will look better than it is. 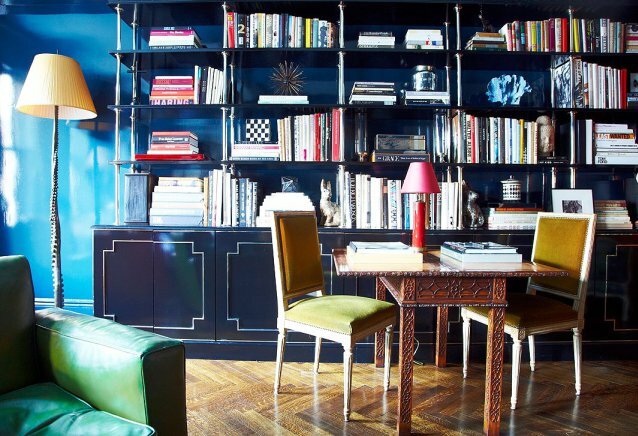 Dark colors in a small space can actually make it look bigger because it makes the space boundaries blurred. When choosing tonal palettes to live with look to your wardrobe to help you select preferred color schemes. Do you like rich saturated, intensely pigmented jewel tones or light, lucid, icy and watery pastels? A painted ceiling is a great way to dip your toes into unchartered paint territory. Find the least predominant color in an existing pattern and use it for the ceiling color and it becomes your guarantee color for the rest of accent pops to a room. A super high gloss finish makes rooms seem taller because of the reflectiveness. A pretty rosy pale barely there just hint of pink can add a year round soft skin enhancing glow and who said no thanks to that ever? Lighter walls, darker ceilings put an unexpected but modern pin on a space. Even just painting the doors can open an opportunity for a statement making room. But the best part of all? Anyone can use a paintbrush and end up with an artistically kissed space that becomes the canvas to their masterpiece.